Dodge is a brand that’s about power, but even the most powerful vehicles can get unsightly dents as you put them through their paces. Maybe you have kids that are a little too rough with your Grand Caravan, or someone wasn’t as careful around your Viper as they should have been. Whatever the cause of your dents, EZ Dent can fix them. EZ Dent uses a Paintless Dent Repair (PDR) process. 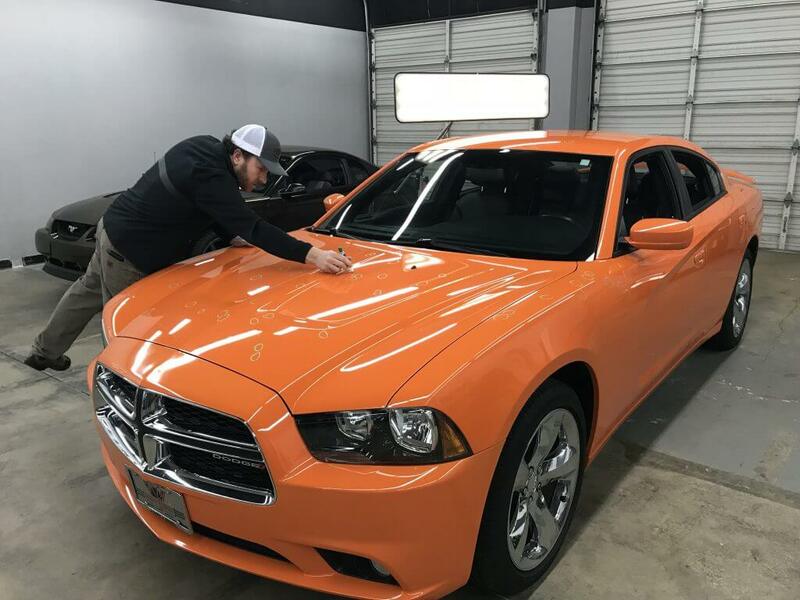 This allows us to preserve your vehicle’s original paint job by massaging and fixing the damaged parts from the inside. In fact, this is the same technique that many dealerships use for vehicles still on the lot. Our technicians can make most dent repairs in one hour or less. There are no guarantees until we’ve seen the full extent of damage to your vehicle, but unless your vehicle has suffered an unusually high amount of damage, one hour is the most realistic timeframe. Our shop is dedicated to dents and whatever the repair time – we can offer a solid estimate. Less than taking your Dodge into a body shop. Prices vary based on three primary factors: what type of dent you have, where the dent is located, and what type of vehicle you have. Some dents are easier to repair than others, and when possible, we pass that convenience on to you with a lower price. *Disclaimer – EZ Dent is not affiliated with Dodge or authorized Dodge dealerships. For more information about how we can help you, or to schedule an appointment, contact EZ Dent today.